The local railway station (main line from London) is a 2 minute taxi ride or 12 minute walk from the property. 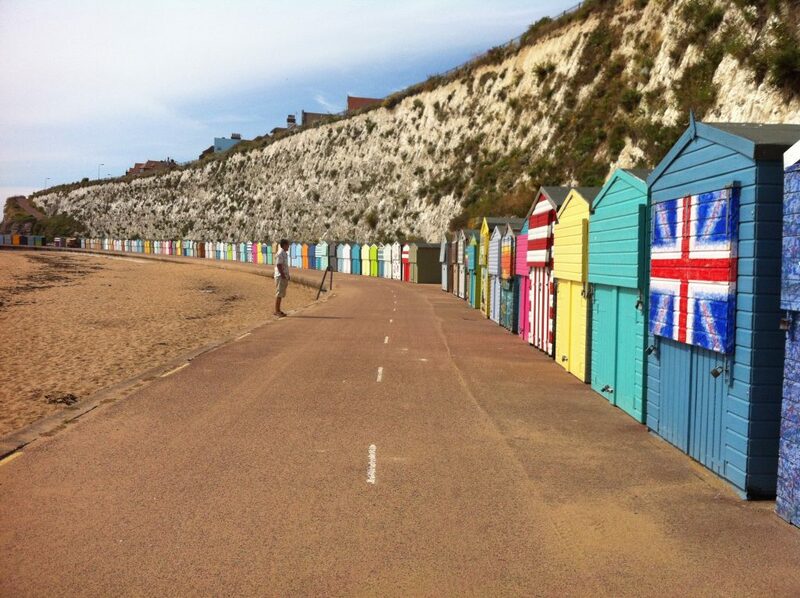 A short drive away are Dover(33km – 30mins), Folkestone (51km – 40mins) and the Channel Tunnel (54km – 45mins). The nearest airports are Gatwick (135km – 1hr30mins)), Heathrow (174km – 1hr55mins) and Stansted (163km – 1hr50mins). Cliff top walks and a series of attractive bays and beaches are just a 4 minute walk away. 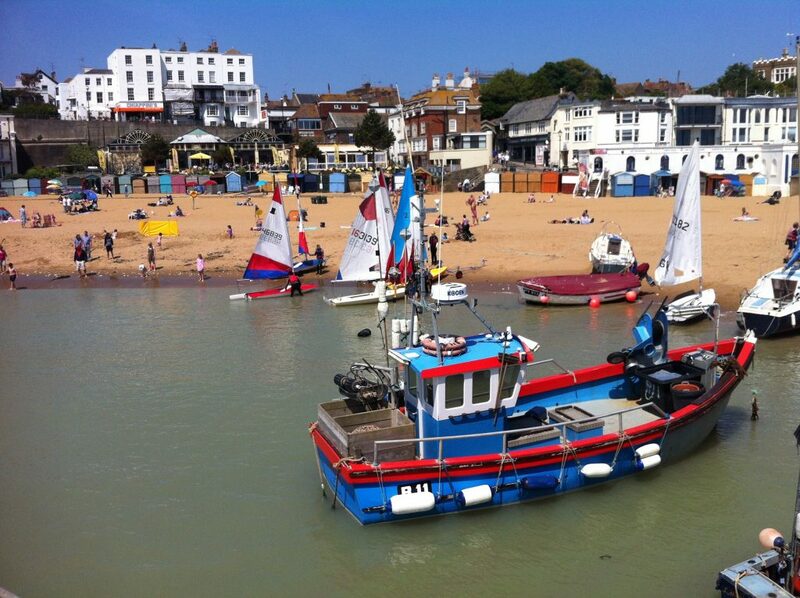 Ramsgate with its lovely harbour can be reached via a 45 minute walk along cliff top and through George VI park. 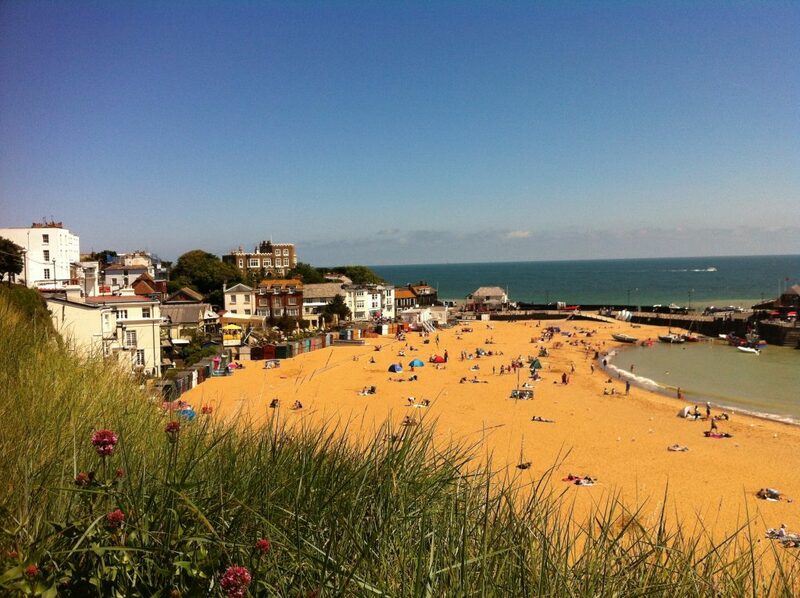 The famous beaches of Broadstairs / Kingsgate / Margate and Ramsgate are all very close , the nearest being Viking Bay, Broadstairs. A five min stroll from Harbourlights Cottage and you are right on the seafront with its pubs / wine bars / eating houses and Charles Dickens historic house and of course Bleak House (now a boutique hotel and tea rooms). Morelli`s and Chiappini’s ice cream parlours together with a crazy Golf course are all a few minutes stroll away. Pretty Kent villages (Chilham, Wingham and Sandwich) are all within short driving distance. The cathedral city of Canterbury is just a 30km (25 mins) drive away or can be visited using the excellent bus service serving Broadstairs (pick up point 5 mins walk). A wide range of local shops including boutiques, a supermarket, fish shop, butchers, greengrocers, toy shops, and chemists are just 5 minutes away, as are banks and building societies. A good selection of restaurants and cafes are all equally close by.